s I get older, I find myself becoming more introspective. That might be because random thoughts with some import take me by surprise now, as what’s usually going on in my head is attempts at remembering song lyrics or whether I made a dentist appointment for the same time as the horseshoer. Or it could be that age brings us closer to the end and forces us to reconsider our decisions. Neither is a good choice. In any case, the other day I caught myself sighing in relief, and had a flash of realization that I seem to do that a lot these days. I sigh. In relief. I thought it would be wise to take inventory of what, exactly, elicits the Relief Sigh. o My missing favorite boot sock turned up attached to the Velcro tab on Zip’s fly mask. o The phone rang, and it wasn’t the Republican National Idiocy Committee with a breathless update on the evils of the Obamonster. 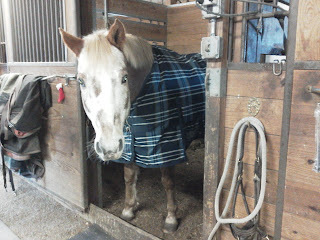 o I went to the barn to feed and all the horses were still alive and behaving like horses. See? It’s not a very exciting list, and these things probably pass through other brains unnoticed and un-sighed-about. I suppose it’s the measure of my life that my concerns are so minute. 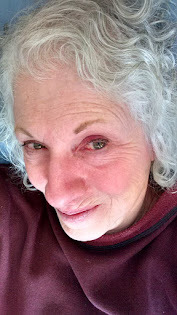 It wasn’t that long ago when I was sighing because I’d made it home under my own steam after a chemo treatment. Or because I’d survived another encounter with a truly violently disturbed student. Or because the phone rang at 3 AM, and it was a wrong number instead of a panicked voice asking for help with my ailing father 70 miles away. So all-in-all, I’m happy that my life runs so smoothly and gently that small things are notable. I avoid criticizing people who obviously know more than I do (though they are few and far between, so it’s not hard to avoid them entirely). This week, however, I have to take issue with an article in the Journal Formerly Known As Michael Plumb’s Horse Journal. I love that vets share their expertise about vet stuff. Without informative articles, most of us would still be putting Vaseline on ticks and believing that horses are too smart and connected to the planet to get struck by lightning in a storm. But Dr. Eldrege’s article contends that we horse people tend to be more in tune with nature than the average Joe Plumber on the street, and that this makes us better for the environment. As it happened, I read the article after I’d made a quick trip into a nearby town for breakfast. On the way to and fro, I regularly pass a large horse property where the river that feeds the local aquifer runs through the pasture. It runs unfettered. The horses are in the pasture. So is their manure, urine, and the run-off of both. Any environmentalist worth all those syllables knows that that’s a no-no. In fact, before our Jersey Shore Star Gov gutted the DEP, it was also illegal. That’s just one example. There are dozens more just along that one route. Farmers, as some might know, are not always the purveyors of benefits to the environment. They are too busy scraping a living out of rocky soil to be overly concerned about where the chemicals go when they leave the crop field. Horse farmers are right in there with the use of chemicals on and around the horses. Sure, we’re careful not to use stuff that will kill the horses. That’s a given. And the article does point out that we are very nervous about what’s on and in our hay and the water going into the buckets. But it’s been my experience that we’re not quite as worried about our output as about our input. 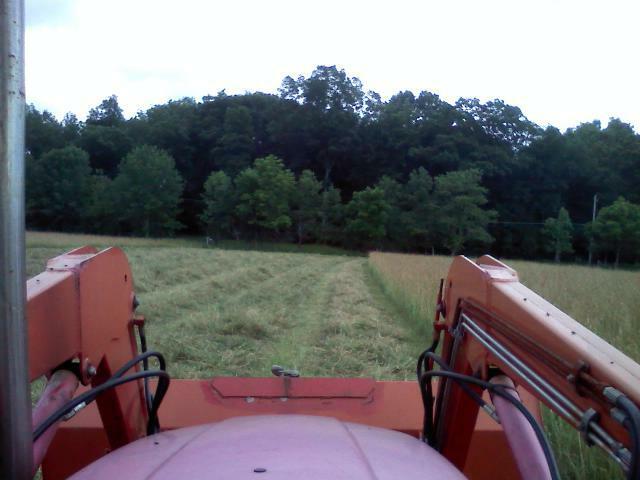 hay this field? Me either. Dr. Eldredge recommends that we horse folk keep on top of changes in crop management to make sure the grain we’re feeding isn’t contaminated with nastiness. That certainly is something to keep in mind, though in this economy simply affording feed is a bigger problem for owners. She comments that naturally our hay is grown without use of pesticides or herbicides. Uh…really? When was the last time any of us, desperate for a load of affordable forage, checked with the hay guy to find out what was on the field before it had hay on it? My beautiful hay field has had fifteen years to recover from having been a heavily sprayed corn field in a previous life. The same goes for much of the pasture land around here. When you took your horse to that brandy-new training barn, did you ask what was there before the barn was built and the fences installed? Or were you just happy to find a place you could afford where the people weren’t crazier than you are? And if you've never seen me try to put fuel in one or more of the tractors by standing on the PTO and balancing the can on my shoulder, you can't appreciate the amount of spillage that winds up in unlikely places around the farm. It's not good. Manure happens. Antibiotics happen. Fuel-powered vehicles happen. 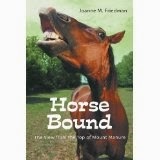 All sorts of chemicals are in use around horse farms that don’t qualify as safe for the environment. I’d love to think of myself as an Environmentalist, but it’s all I can do to think of myself as not a mass murderer. The rest is moot. The temptation to be above it all is lovely, but it’s about as realistic as the current crop of political ads. Getting real is a harder road, but it’s got a better ending. ee these cool PC SMB’s? I bought a whole set last fall after two horses pulled suspensories in the slickness that was Hurricane Irene’s leftovers. I wrote a really positive review of them mostly because they are so velcro-sticky that I could slap them on Zip as he trotted past me in the pasture. See these nifty polo wraps? I have them in three colors and two densities. I bought them for the same purpose as the SMB's. Zip loves having leg wraps put on. I don't know why. All the horses seem to love it. I use them sporadically, mostly for rehab but sometimes because I've taken pity on poor Leo's ancient legs and I'm about to ask him to do six-inch cross rails again. So what's my gripe today? My basic maladjustment is that the research keeps screwing with my management plans. It would make me very happy if all the research about all the horse issues that might ever crop up could be done at once--this week, if possible--so I can stop discovering that I've once again taken the wrong approach and endangered the very animal I was trying to protect. It's a lot like parenting, this whole horse life thing. poor arthritic fingers feel better and smell minty fresh. The article above (since you're obviously not reading it) says that the heat produced by leg wrapping and booting causes the horse to exert so much extra effort that it is actually detrimental to the horses' ability to move, tires him out, and makes him more likely to ask for an iPod for his birthday because he won't ever want to leave his paddock again. As I said, I bought these items for a reason. Zip and Dakota both fell prey to the "greasy dirt" left behind by Irene and her buddy Lee, and both pulled suspensories one right after the other. After stall rest and prior to a return to real exercise, some support seemed in order. 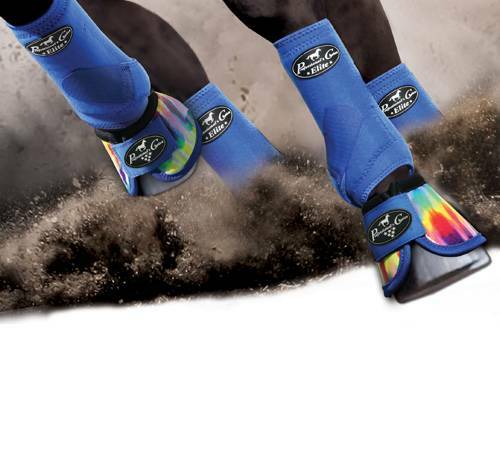 The SMB's (that's Professional's Choice Elite Sports Medicine Boots, in case you didn't know) were the first line of defense because they are extremely supportive, mold to the horse's leg after a couple of wearings, and offer support along the length of the forearm and under the pastern. The booting worked wonders, and the swelling in both horses was reduced rapidly by a few days' use with cold hosing before application and Cool Pack green jelly under the boots. Once both horses were on the mend and ready for a little more exercise than their gorging on hay was affording them, the boots came off and I went to the polo wraps. Why? Because I know how to use polo wraps. That gave me a very warm feeling that I couldn't be doing anything to hurt the Boyz worse than they had hurt themselves. I was taught how to wrap by someone really good at it, and though I'm not an expert, I'm competent. Since that episode, I kind of fell into the boot/wrap routine and had been using one or the other religiously...until I read the article above. Of course I'm never one to take research at face value, so I had to take my new learning experience to the Advisory Council for a vote. Leo isn't much of a complainer. He'd probably be fine with sandpaper on his legs. Dakota opted out of voting because ESPN had a rodeo on. Zip had his hoof raised the minute he heard there was a voting option. Zip is a born communicator. Some of my readers are familiar with Zip's little balking issue. He can slam on the brakes and plant all four and become completely immobile fast enough to cause whiplash. We'd been getting past all that nicely thanks to some sage advice from a brilliant horseman who pointed out it was all my fault (I like him anyway) right until Zip injured his leg. After he'd recovered and we'd started working a little again, I noticed he was more forward but spent an awful lot of time pausing to rub his nose on his foreleg. Dakota being a Good Boy. His response to the boot vs wrap question? "No comment...now give me a cookie." Of course I assumed the problem was in his nose, and I put various bug repellents, salves, and nets on to solve it. Nothing worked. Nothing worked because he wasn't rubbing his nose on his leg; he was rubbing his boot with his mouth. I realized this when I saw what I thought was blood on the front of the white boots and later determined was Manna Pro cookie residue. Could it be, I wondered, that he really wasn't loving the boots anymore? Or ever? The next day I rode without them. What ho! No halting, no nose-rubbing, just normal riding (that's Zip-normal, not normal-normal). Now, I don't have the fancy equipment to measure the heat build-up in his lower legs with and without boots or wraps or determine his perception of the amount of work he's being asked to do, but I'm going to venture that possibly there's a little discomfort involved in the wearing thereof. He was never particularly vocal about the cheap open-front jumping boots we used for years, so maybe the open front allowed enough ventilation to prevent the need to complain. I intend to dig up those old boots and do another comparison ride, just for jollies. If it feels like more work than it should be, Zip will be the first to let me know. Meanwhile, read and heed the article. Especially if you've got a guy like Zip under you, less irritation is always better than more. I like to give him every opportunity to succeed in the way I define success, which is limited compared to my competitive-rider friends, but success nonetheless.